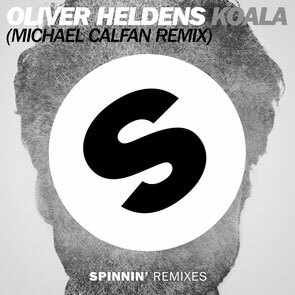 Coming off of his latest production, ‘Last All Night (Koala)’, Oliver Heldens releases Michael Calfan's remix of ‘Koala’ via Spinnin' Records, along with its official music video. Last year, Oliver scored a big hit with ‘Koala’ and it was recently released with a vocal treatment from KStewart, which brought a new element to revamp the tune. Now it's seeing a makeover by the French DJ/producer who's known for his 2014 smash, ‘Treasured Soul’. Michael Calfan's interpretation of ‘Koala’ showcases his own brand of soulful and groovy house music. Using piano-laden melodies, a new vocal sample, drums and a high-energy vibe, Calfan was able to work the track to create this club-ready remix that should go down well in DJ sets. This remix release is also accompanied by an official music video that tells a story of a ninja standing his ground, and protecting his little brother and Koala teddy bear from an aggressive intruder. Check the video below, it’s out now.